Using classic and contemporary techniques to create fantastic Middle Eastern dishes, Sarsang is perfect for any occasion. Situated in London’s lively West End, this restaurant focuses on classic Middle Eastern cuisine made with healthy, high quality ingredients. Sarsang make their dishes without frying, instead grilling or baking to make their food ideal for the healthy diner. 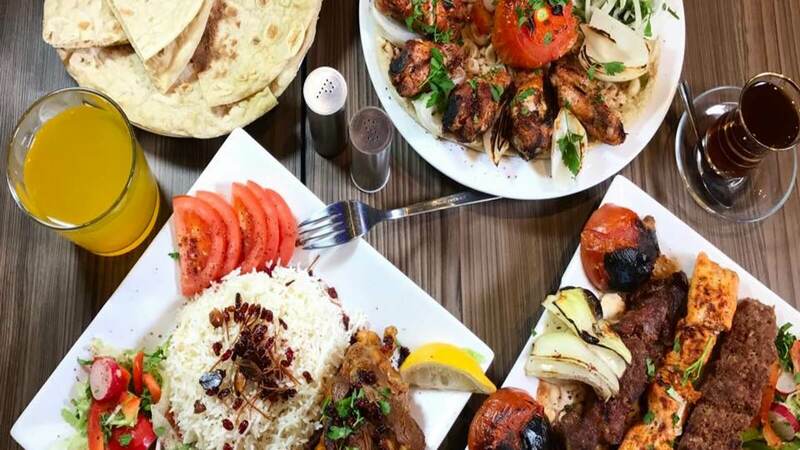 Their extensive menu consists of a wide range of hot and cold mezzas, including falafels and moussaka, which are perfect for sharing with a group of friends or a family gathering. You can also choose from their charcoal-grilled kebabs and wraps, with a great selection of filling stews for vegetarian guests. Make sure you leave room for Middle Eastern sweet treats, like baklawa!